Go Beyond Strategy - Immerse yourself in Lara's world with this Collector's Companion Tome from Prima Games! 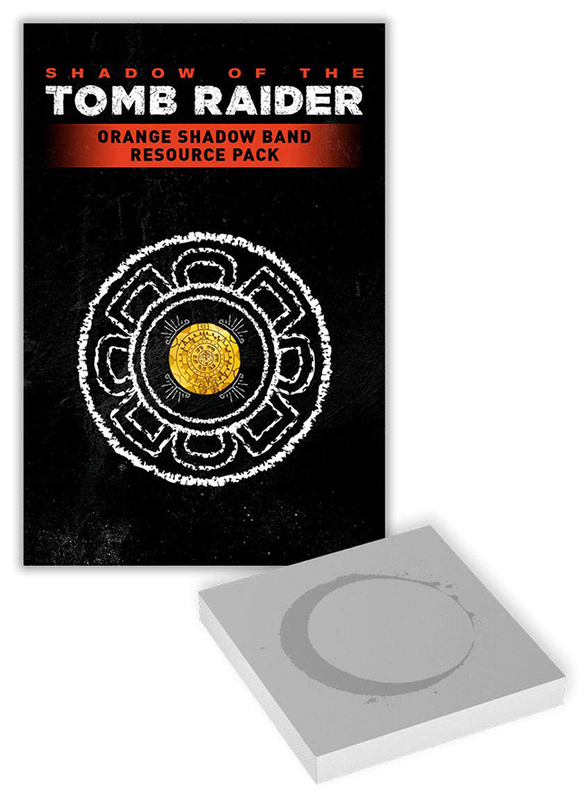 Orange Shadow Band Resource Pack: With the in-game resources included in this pack, totaling four gold and eight jade, you can obtain your choice of either ammunition or healing items, aiding Lara throughout your journey! Bonus Comic! Includes Tomb Raider: Inferno #1 by Dark Horse Comics.